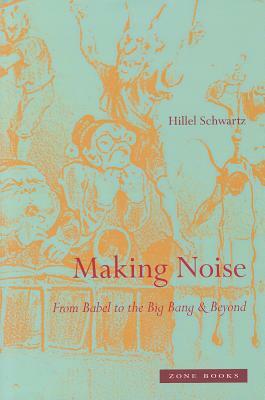 I have a feeling I’m one of the first people in the universe to have read, from cover to cover, Hillel Schwartz’s 859-page* Making Noise: From Babel to the Big Bang and Beyond. I finished it last Saturday. Most other people with whom I’ve spoken have either stared at it for a while, not sure when they’ll have the time or mental stamina to commit to it; or chosen to regard the book — which was published last fall — as a sampler, dipping into passages every here and there. I had committed myself to a more deliberate, linear reading. I was asked last summer to review the book for a journal. Actually, I (ridiculously) ambitiously proposed to jointly review Schwartz’s book and another recently published sound studies anthology — but then, 1500 pages later, after having finished both books, I came to realize that Making Noise is a species, a genre, of its own and is best not compared with any other. Both books are ostensibly about the same subject — but only Making Noise takes on a literary (and physical — more about that later) form that echoes its content. Schwartz has created something like lyric scholarship, with few of the standard trappings of academicism. He uses existing scholarship (mind-blowingly huge truckloads-full of it! ), but in a wholly unpretentious, non-demonstrative (i.e., “here, let me show you how much I know!”) way. The edited collection — which, I must admit, I read after having finished Schwartz, so it didn’t really stand a chance! — was by contrast pure academic formula: much ado over minute issues, each framed with a dry literature review and neatly summarized with a clearly labeled “Conclusion” enumerating all its major theses. Normally, I can tolerate that kind of thing; it’s the standard fare in academia. But after Schwartz, I was spoiled. I realized, it doesn’t have to be like this! Erudition needn’t come in frustrating packages! And writing on sound in particular can dance, not plod, through my brain! Before I even get to the text, to hermeneutics, I have to say something about the book itself. At 9 1/4″ x 6 1/4″ x 2 3/8″, Making Noise is not the kind of book one can easily tuck into a bag for subway reading. In fact, in the two months I spent working through the text, not once did I manage to find sufficient spare space in my bag to lug it to school or a coffee shop; consequently, I read the book entirely in my apartment — in a very particular, and relatively noise-free acoustic environment. 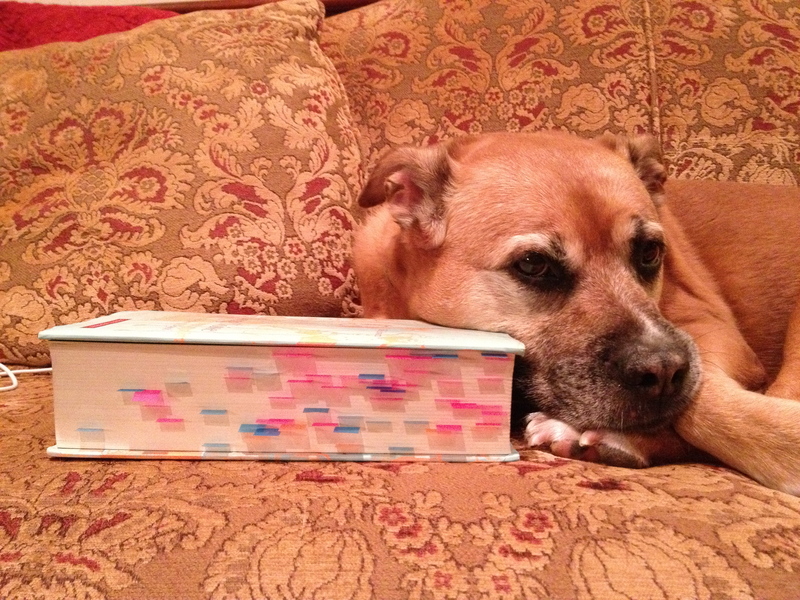 My dog Roxy poses with the book (on my parents' couch) to lend a sense of scale. In addition, it’s not the kind of book you can read while lying on the couch; its 2.5 pounds tire your wrists far too quickly. As a result, I read the entire book sitting or standing up, or while lying on my stomach on the living room carpet. Thus I never experienced Schwartz with my head cocooned in a pillow, down and cloth providing acoustic insulation. The main text alone is 859 pages; with the index, it’s 912 pages. Yet even that doesn’t include all its bibliographic components. Because of the book’s length, the publisher decided to make the 349 pages of endnotes, along with a 51-page bibliography of “noisy” children’s books, downloadable from the Zone Books website. I love endnotes; when I read I typically maintain two bookmarks — one in the main text, one in the endmatter, so I can continually reference relevant endnotes and/or citations. In this case, however, the printed text itself required such a physiological commitment that I simply couldn’t manage simultaneous consultation of the endnotes. I couldn’t keep running back and forth from reading chair to computer, or juggling the physical book and an iPad full of endnotes. As a result, I missed all the great endmatter, and I fear that, as a result, my experience in reading the book was less multivocal than it was meant to be. Not that the book didn’t have plenty of resonant voices as is! Those voices lived not only on the pages, but also in the book’s form. With so many sheets bound into such a large volume — and these aren’t your typical Norton Anthology onionskins; these pages rival the weight of a nicely published mass-market fiction hard-cover — there’s a distinctive depth to its flutter as I flip through its pages. And when I drop it to the floor: what a nice round thud it makes — not the strident crack of less substantial volumes! Making Noise is definitely a tenor. Yet it’s a discordant tenor, with its somewhere-between-mint-green-and-robin’s-egg-blue cover featuring, in fluorescent orange (which makes it look like it’s printed in negative), a blown-up print of Grandville’s “Katzemusik” (“rough music”), and type in an elegant brick red serif font. Quite a noisy contrast of graphic elements. Inside the cover, past the black endpapers; past an image of Michael Barton Miller’s “aroundsound #2 (elpasoyodel),” sculptures resembling the ear canal; past the copyright info and dedication, we encounter Schwartz’s encouragement that “This book is meant to be read aloud.” There is indeed a lyricism to the writing that Schwartz manages to maintain throughout all 800+ pages. Even if my lips weren’t moving as I read, I heard Schwartz’s words resonate in my inner ear — something that rarely happens when one reads typically tone-deaf academic prose. Schwartz has divided the book into three main sections, or “rounds”: (1) Everywhere: “On apprehensions of noise on all sides. How this comes to be, and from which directions”; (2) Everywhen, Everyone: “On ears of all sorts. On who is hearing noise, under what conditions and at what time of day or year of life”; and (3) Everyhow: “On hearing what had not been heard, could not be heard, should not be heard. Calibrating and recalibrating noise. Toward what end?” While working my way through the book, the Rounds resonated only very faintly for me; they felt more like cryptic titles of symphonic movements. But after completing the book and allowing it to echo for a while, the rhetorical functions of these titles did eventually make some sense: the focus on where, when, who, and how suggests that Schwartz regards his work as that of a storyteller. And the regular use of the “every-” prefix prepares us to accept the broad, encompassing breadth of these stories; Schwartz’s story of noise has multiple characters, widely distributed agency, and is inflected by the place, time, and identity of his characters and “informants.” The story’s telling also depends upon the methods those various culturally and historically situated subjects use to define, measure, and represent noise. The book’s structure in “Rounds” seems appropriate for a story that cycles through time, that continually revisits subjects (some, perhaps a bit too frequently) and appreciates their echoes. Even the book’s polychronic subtitle — which starts with Babel, then listens back for echoes of the Big Bang, then listens forward to the beyond — suggests that this is not a linear, teleological story. …[N]oise is never so much a question of the intensity of sound as of the intensity of relationships: between deep past, past, and present, imagined or experienced; between one generation and the next, gods or mortals; between country and city, urb and suburb; between one class and another; between the sexes; between Neanderthals and other humans (20-1). First, the chronicle of changing soundscapes: how each era and culture lives within its own ambience of sounds. Next, the annals of sounds earmarked as pleasant or obnoxious: how each era, culture, and rank hears (or does not hear) and welcomes or disdains the sounds around it. 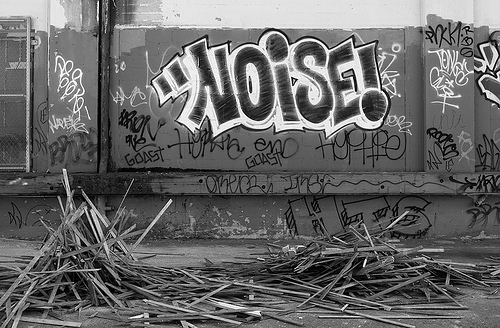 Next, the career of noise itself as variously apprehended: how each era, culture, occupation or discipline reconstitutes the notion and nature of noise. Contingent upon these, finally, are narratives of noisemaking and noise-breaking: how noise in each era, culture, and class has been denounced or defended, defiantly produced or determinedly deadened (21). the history of elected or commanded silence; the history of the deaf and deafness; the history of Arcadian idylls and millennial kingdoms; the history of stillness – of portraiture and death, sedation and paralysis, inner reserve and outward desolation (21). The reciprocal histories can be contextualized, or “masked,” within the “ostensibly larger stories of civilization, urbanization, industrialization, mass distribution, and mass communications” (21). Schwartz also mentions the seemingly vain search for an Ur-language, “root of all other tongues spoken by humanity,” and the cultural biases inherent in anthropologists’ early studies, among ancient or isolated communities, of what it means to “hear well” (30). “Abandoning…any claim to imperturbable sanctuary or impeccable hearing, we are free to move on to what is left: the history of noise” (36). [Echo] was active in the stone corridors of narrow city streets, in the hallways of country houses, in the lyrics and staging of songs and operas, in artificial grottoes hollowed out for aristocratic gardens and public amusement, in the echo-organs of cathedrals whose vaulted domes sometimes (as at St. Paul’s) had whispering galleries (65). Echo echoes in Baroque music, and in the sounds of war and the cacophony of the underworld. The righteous had to “listen through noise…for the Lord’s guidance” (90-1) — but what precisely constituted the medium through which they listened was a matter or debate: was it pneuma, or ether — either/or, neither/nor? We also consider how flatulence and laughter and weeping were received in various contexts, and consider what it means to speak with angels or through machines. We map a new geography, and a new soundscape, shaped by iron furnaces and steam engines. We think about practices of “educating the senses” — particularly in the penitentiary, where, as the prevailing penal theories had it, “it was solitude [and silence] that conduced toward repentance” (182). We hear the noises of slavery and freedom, and consider how they sounded differently to one another. We imagine doctors pressing ears and stethoscopes to ailing patients, and telegraphers making sense of the “dit-da of Morse Code” (227). We consider how the rise of these new technologies — telephones, radios, radar — installed “a new mode of listening that entailed a heightened sensitivity to the ubiquity of noise,” and we watch Victorian architects work toward isolating interior life from the cacophony outside (230). [E]ach generation inhabits a different acoustic universe, constituted by different musics and memories of sound, by different thicknesses of walls and densities of traffic, by different means of manufacture and broadcast, by different diets and ear-damaging diseases, by different proportions and preponderances of metal rattling in kitchens, clanging on the streets, or ringing in the (differently polluted) air above” (314). We begin this Round with the “loud dress” of the dandies. We’re then stumped by acoustic shadow on Civil War battlefields, and made to wonder if the “acoustic density” of our industrializing cities — a function of demographics, traffic, and heat, which “[sped] sound along” — is an inevitability. To some, the only recourse seemed to be a search for sonic retreats in cemeteries and parks, or “rest cures” in foreign lands (274). Meanwhile, officials experimented with new street-paving materials to cut down on traffic noise. Florence NIghtingale reminded of the healing powers of quiet, and various anti-noise parties set out to enforce it, in part by encouraging the establishment of acoustic zones. 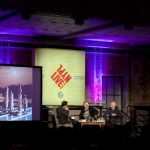 Later in the Round, we hear about new scientific studies of sound (by Bell, Doppler, Edison, Faraday, Maxwell, and Sabine, to name just a few researchers), and about architects who learned from these scientific discoveries as they strove to soundproof homes and hospitals. Meanwhile, urbanites watched overhead wires overtake their cities. Add it all up – the endemic diseases, epidemics, and childhood ‘fevers’ with their ontological after-effects, often permanent; the ototoxic drugs used to treat those afflictions; the boxing of schoolchildren’s ears and the familial tugging or cuffing at home; the injury done by industrial noise to the inner and middle ears of working adults, year after year, and more swiftly by the cannonade of battle to the ears of soldiers and sailors; the tinnitus and earache from impacted wisdom teeth, dental decay, and gum disease; the cigar and cigarette smoke, sulfuric ash and coal dust, lead-laced paint and arsenical wallpapers in the most genteel of homes, and the soot and smog outside in the thick city air… — add it all up and the heard world was widely compromised (383). While concert halls and upper- and middle-class homes were more insulated from the din, working-class ears were not. In Round 3, “Everyhow,” we begin with anthropologists studying the hearing of “savage and semi-civilized races,” and learn that some Western researchers came to understand that their own hearing was neither superior nor inferior to the “savages'”; rather, “[the savages’] senses were honed by minds that grasped the ecology of their milieu” (556). We hear again about the sounds of war — about shellshock and uncanny silences — and about assaulting sounds emerging, even in peaceful territories, from improved loudspeakers. We overhear politically charged deliberations on the cause of deafness. We talk of sound therapies: Freud’s “talking cure” and hearing aids. Again, we consider how architecture and construction devise new strategies — “electrically amplified sound-transmitting infrastructure[s]” and “sound-absorbent wall and floor coverings” like Celotex — to seal out the noise (635, 638). Sometimes, as before, those solutions “redoubled the problem” (632). We again consider zoning and the spread of litigation against noise — even in the depths of the ocean. In one particularly fascinating segment, Schwartz addresses the audition of fish and sound-making of whales and efforts to prevent their disruption by deleterious naval activities. We consider how we’ve learned to listen inside the aquatic environment of the uterus; ultrasound transformed how parents listened to their children — both in utero and throughout their development. Meanwhile, we also began to listen to the universe, to hear static in cosmic rays and to search for radio waves transmitted from afar. We started to think of noise in terms of wave patterns, and we classified those patterns by color: white, black, brown, orange, and pink. The last, the most trivial-sounding, is 1/f, or flicker noise, which displays “‘interesting structure’ over all time intervals” (839). We eventually recognized the power of pink: “1/f noise was suddenly found to be flickering almost everywhere that things or beings were in motion. It was in fact intrinsic to perception and judgment” (840). [Pink noise] seems to be the optimal noise for catalyzing phase transitions and rescuing systems out of whack. When added to a weak signal, pink noise can nudge it over a threshold crucial to awareness or stability; when introduced to a system in turmoil, pink noise can shepherd it back to homeostasis… [P]ink noise allows organisms to ‘hear’ and respond more aptly to their environs; in physical and otological terms, it restores balance (843). The ubiquity and utility of pink noise explodes the commonplace notion that noise is simply “unwanted sound.” Schwartz writes: “Not only was the world literally shaped by noise; our brains required noise. Pink noise. Measured at the peripheries, the noise of the nervous system is white; in the brain, electrical fluctuations approach 1/f” (845). This noise is very much wanted and necessary sound. “The intentional making of noise was an ontological statement: I substantiate my historical being through the noise I can make” (846). In other words, “[w]ithout noise, we would not be in the world” (859). Bound up with bone and tissue, with solids, liquids, gases, and plasmas, with the tactile and cortical, with the chthonic and the cosmic, all those vibrations that are soundmusicnoise have been historically re-cognized, from era to era, within a cultural logic as nonlinear as the coils of the hairs of our inner ears. Distinctions between sound and noise, or noise and music, or music and sound, can only be provisional – not because they are matters of taste but because they are matters of history and histrionics: of what becomes audible through time and how the acoustics are staged, in auditoria, or bedrooms, in laboratories or courtrooms… (858). Or in beautifully typeset tomes with noisy covers. I’m not sure how I’ll end the review — particularly how I’ll connect the nature of Schwartz’s argument with the acoustic materiality of the book itself; or how I’ll address Schwartz’s problematic and not-tremendously-helpful (for me) segment titles: Everywhere, Everywhen, Everyhow. Everything in my review needs a lot more finessing — but at least the above presents the raw material I have to work with.